I’m very excited to be creating several new Easter printables this year. So far I’ve created an Easter Printables Pack and an Easter egg color grading activity. 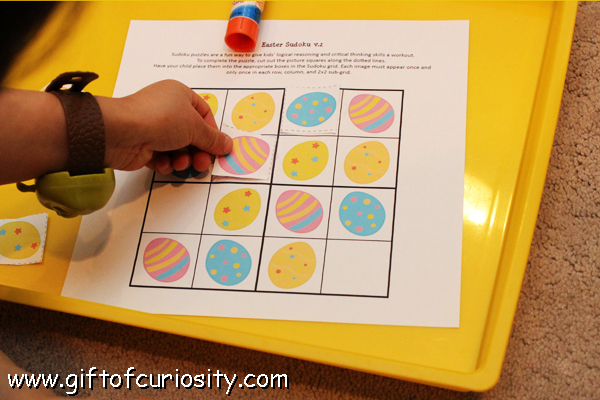 Today I’m thrilled to share my Easter Sudoku printables with my readers! 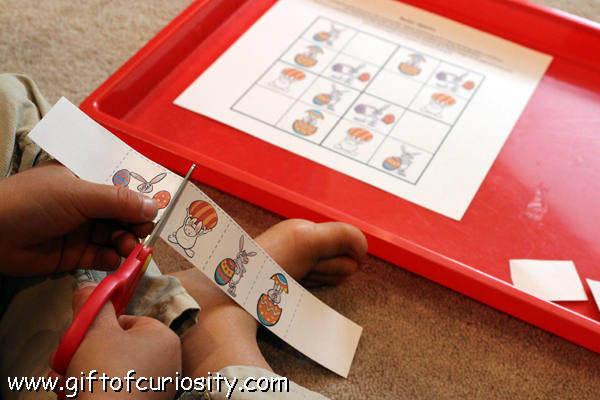 Note: For more kid-friendly Easter activities, see my Easter Activities for Kids page. Have you ever played Sudoku? It is a game that is usually played with numbers. The objective of Sudoku is to fill in a 9×9 grid such that each row, column, and 3×3 sub-grid includes one and only one of each digit from 1 to 9. While I don’t have time to play much anymore, I used to love doing Sudoku puzzles. 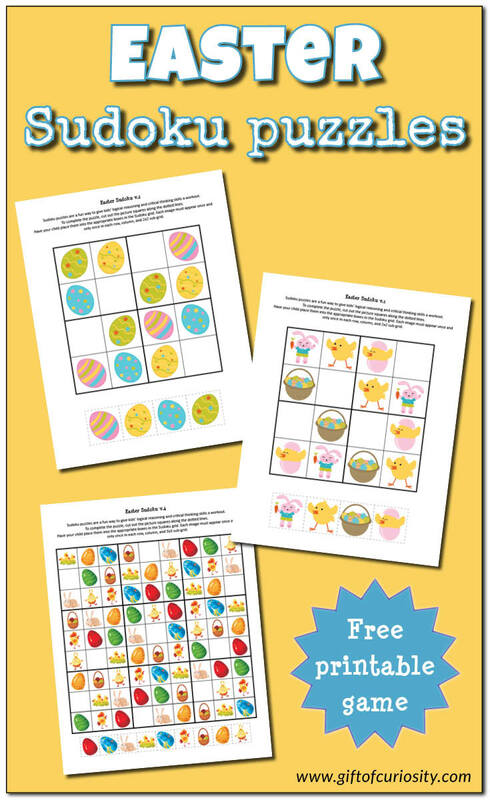 In an effort to pass along my love of Sudoku – and to develop my kids’ logic and critical thinking skills – I’ve created some Easter Sudoku printables for kids. My Easter Sudoku puzzles use pictures instead of numbers, so even young kids who don’t yet know their numbers can play. 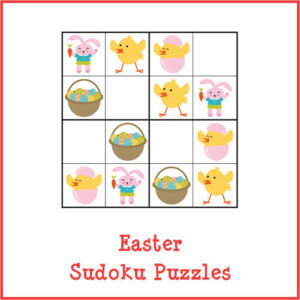 I hope your little ones enjoy completing my Easter Sudoku Puzzles! Want a copy of my Easter Sudoku Puzzles? Thank you so much for making and sharing such awesome educational activities and worksheets. My daughter loves them! Thank you so much Katie. I’m print out it and enjoyed with my little boy He’s say ” Mom mom this worksheets it awesome I love it and fun to play and learned. Thank again for making and sharing. Aww, so glad to hear your little one enjoyed my Easter Sudoku game! I look forward to making more Sudoku games in the future that he will hopefully enjoy too! Great idea! I am featuring your post in my After School round up this coming Monday! What a great free printable! I’m so thankful for your generosity! Thanks for sharing this at the After School Linky Party!